Her team may have lost, but this Green Bay Packers fan had already won (the ring that is) before the NFC Championship game was even completed. 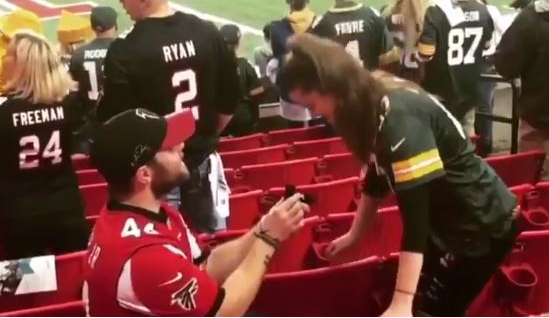 In this cool moment before the two teams collided, and likely wanting an answer before things got really intense, this Atlanta Falcons fan popped the question to his girlfriend, Allison Emily, while the two teams were warming up. She said yes, likely easing the pain from the loss.